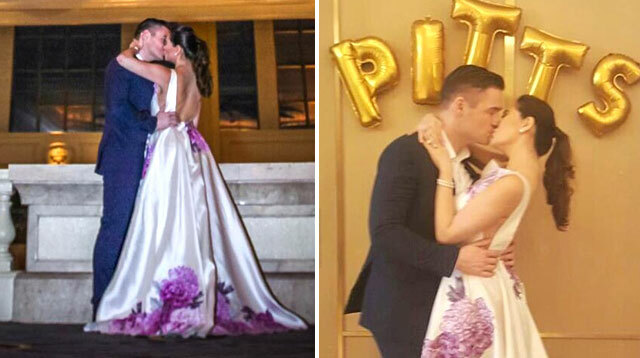 Just a week before their September 15 nuptials in Lake Como, Italy, Cristalle Belo and her Australian hotelier fiancé Justin Pitt tied the knot in a civil wedding ceremony yesterday. Justin’s close family and friends attended the intimate ceremony held in the Manila Peninsula. The bride looked gorgeous in a Vania Romoff gown. And in case you were wondering why Cristalle and Justin tied the knot so suddenly, Cristalle’s mother Vicki Belo explained on IG that the couple had to be married in the Philippines civilly before having their Lake Como nuptials. Congrats, you two! Can’t wait to see snaps of your Lake Como wedding!